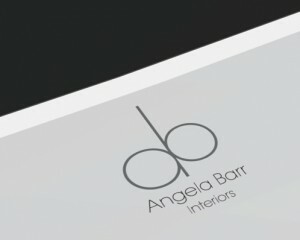 Angela Barr designs unique and exclusive interiors and supplies various furnishing items that fits in with the new environment. The minimalist approach to the brand and the geometrical logo conveys the message of clean spaces and well planned proportions that are important in any visual art and design starting from the archaic Greek times. 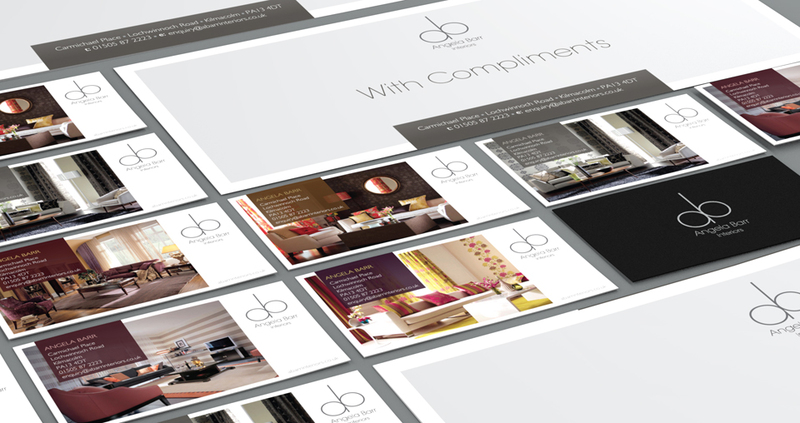 The clean, subtle and elegant lines and shapes provide a perfect frame to the colourful portfolio. 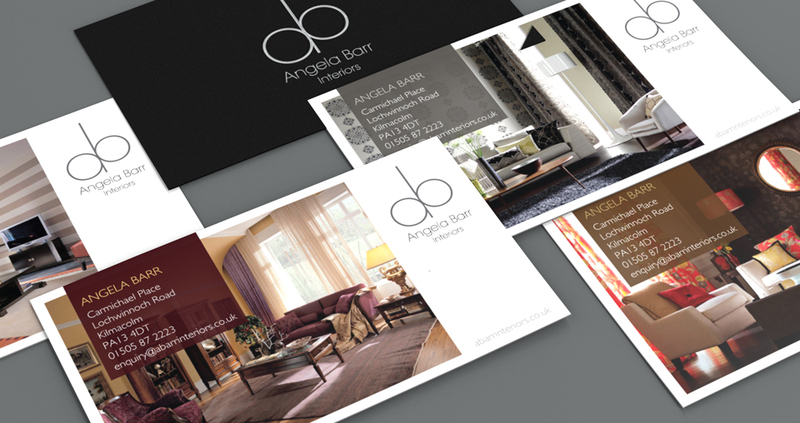 The various business cards gave a great opportunity to create an immediate advertisement featuring some of the work from her portfolio. 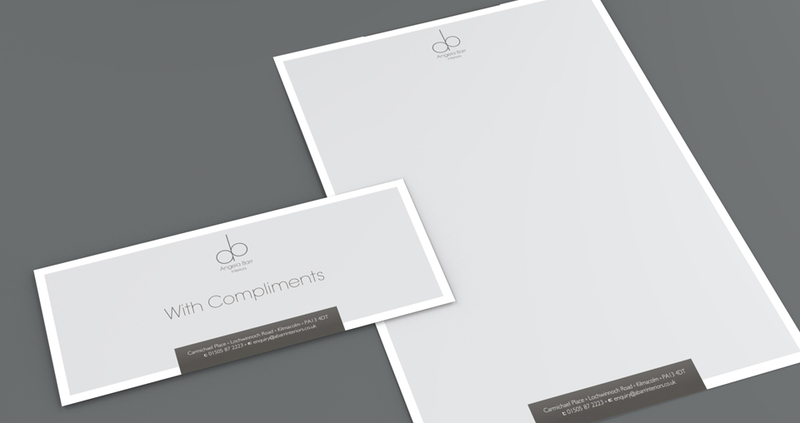 By letting clients choose a specific card, their interest, style in mind and expectation can immediately be measured, also the card will retain a more personal meaning and less likely became just filed away.